A mix of roasted mushrooms are coated with Hellmann’s® Sesame Thai Vinaigrette and soy sauce. Sprinkled with toasted sesame seeds and lemon zest for fresh umami flavor. 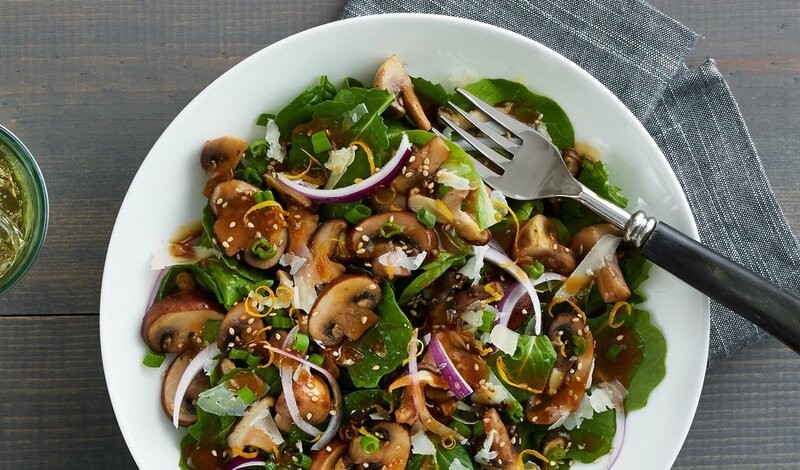 Combine Sesame-Soy Dressing, spinach, parmesan and mushrooms and mix until evenly coated. Top salad with remaining ingredients and garnish with shredded nori.